Care leaders have outlined areas the Government must address in this autumn’s Social Care Green Paper. The comments came in response to a consultation launched by the Local Government Association (LGA) in July. 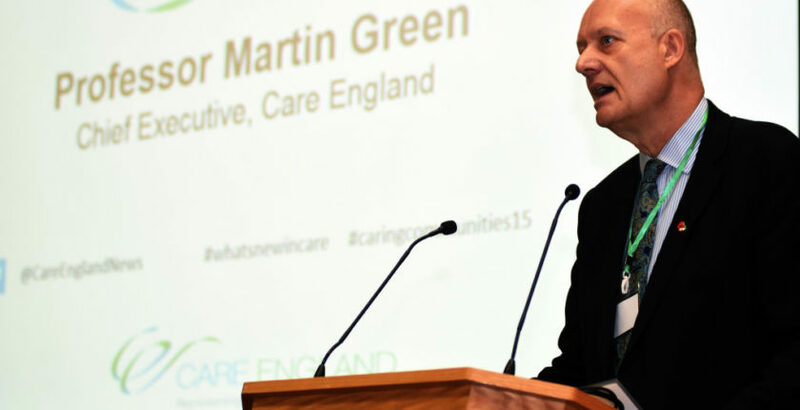 Professor Martin Green OBE, Chief Executive of Care England, said: “Whilst we welcome this initiative, the instability of the care market carries on unchecked. The Government must address the urgency of the care crisis as otherwise all the promises of the Green Paper become rather academic. Busy Bees founder, John Woodward, OBE, repeated his call for the introduction of adult social care voucher scheme to help plug the sector’s funding gap. John, one of the driving forces behind the introduction of childcare vouchers in 2005, has been campaigning for the introduction of a similar scheme in adult social care since January 2017. “What is needed is a practical approach that puts the individual and top-quality care first,” he said. “A cross party agreement is needed where we have commitment from all colours that old age, and the care required when we enter it, is going to be appropriately funded. “Adult social care vouchers would allow taxpayers of all incomes to set aside only what they can afford and accumulate enough over a working lifetime that they do not have to be out of pocket when they need social care, and do not have to make painful decisions, such as selling their home to fund services they desperately need.